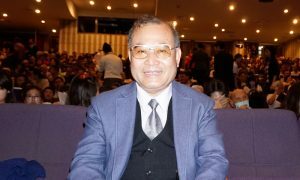 BAKERSFIELD, Calif.—On the evening of April 27, among an enthusiastic audience at the Rabobank Theater was Professor Martinez, who was captivated by the performance of the world premier classical dance and music company Shen Yun Performing Arts. For Mr. Martinez, music is his love, and is evident in his profession as a conductor, composer, musician, and educator. Professor Martinez has been the music director and symphony conductor of the Desert Community Orchestra of Ridgecrest since 1995. Some artists that he has worked with, are Grammy Award winners. He was awarded for outstanding achievements in performing arts and science by the national organization “Heritage of America,” Educational & Cultural Foundation (for arts and humanities), The Day of The Americas, 2004. As a professor of music at Bakersfield College since 1989, he has been inducted into the “Who’s Who Among America’s Teachers,” for music education in 2002, 2004, 2005, 2006 and the Cambridge Who’s Who Education Recognition in 2007. 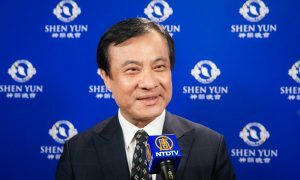 Shen Yun’s presentation of China’s tradition culture, he said, was wonderful. 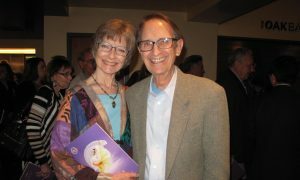 According to Shen Yun’s website, there was a time when the world was full of magic and splendor, and all on earth existed in harmony with heaven. You could see it in the arts, feel it in the air, and hear it in the beat of a drum. This was a land of heroes and sages, dragons and phoenixes, emperors and immortals. China was known as “the Land of the Divine,” a land where the divine and mortal coexisted. It was believed that Chinese culture was a gift from the heavens. Belief in and reverence of the divine and heaven were overarching understandings in traditional Chinese culture. But these traditions and beliefs have been nearly destroyed under the communist rule. 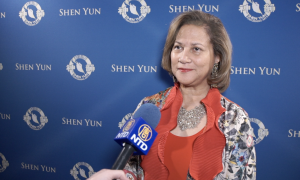 New York-based Shen Yun, formed by a group of overseas leading artists in 2006, seeks to revive and share with the world the divinely inspired culture through story-based dance and music. 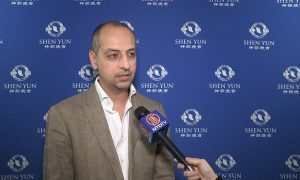 Sadly, the communist regime does not allow Shen Yun to perform in China, but cannot stop people flying from China to see Shen Yun. Empathizing with the people in China, Professor Martinez said he was hopeful that things would change. 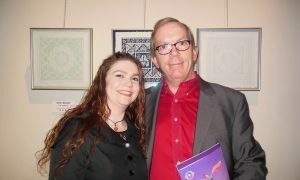 Professor Martinez said the spirituality, a connection of the soul to the divine, portrayed in the performance was uplifting. 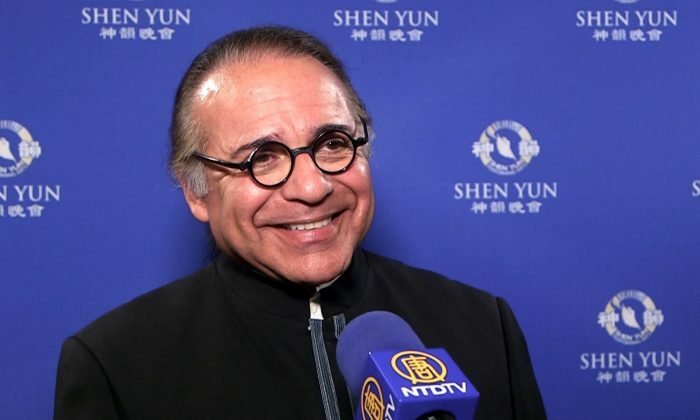 Through approximately 20 vignettes, audiences are invited to take a journey through 5,000 years of Chinese civilization that includes myths, legends, and modern stories of courage where “mortals and divine beings merge on stage as one,” according to Shen Yun’s website. Shen Yun’s artists use classical Chinese dance to tell a variety of stories, from the legend of the Yellow Emperor descending from heaven to reign through to modern-day stories of Falun Dafa practitioners’ courage and steadfast faith. Falun Dafa is a spiritual meditation practice that espouses truthfulness, compassion, and forbearance. But the communist regime has brutally persecuted the practice, arresting, illegally detaining, torturing Falun Gong practitioners. In addition to classical Chinese dance, Shen Yun also features bel canto soloists. The lyrics of the all original works brim with philosophical reflection about human life, reminding people that there is more to life than the material world. 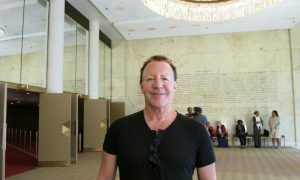 As a conductor with over 20-year experience, Professor Martinez had a deeper appreciation for the Shen Yun Orchestra with a blend of Chinese and Western instruments for a unique sound.